Odd shaped chimney pipes are difficult to clean and, unless cleaned properly, pose a buildup risk to the homeowner. 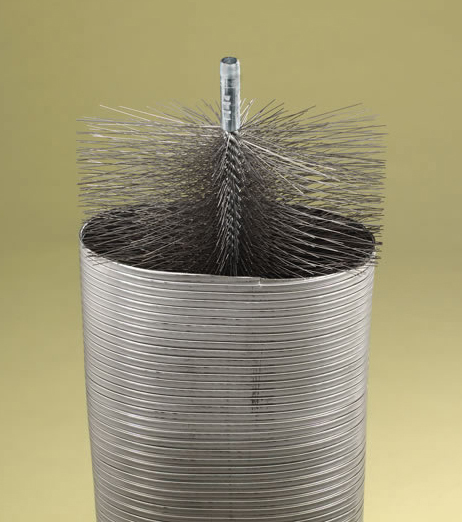 This oval chimney brush from Schaefer offers exactly the right solution to clean an oval shaped chimney pipe. The brush is constructed of high quality materials for durability. The bristles are made of 22 gauge steel and the is constructed by hand for maximum quality assurance. The brush head features quick connect fittings for added versatility. Will this brush work on a pipe sized 9.25 x 4.5 inches? Thank you. This brush has the measurements 4.5" x 10.5". This should be appropriate for your dimensions.